Rasmus Rissanen has been added to Jets. Jets paid 0 Kč to release Christopher Clapperton. 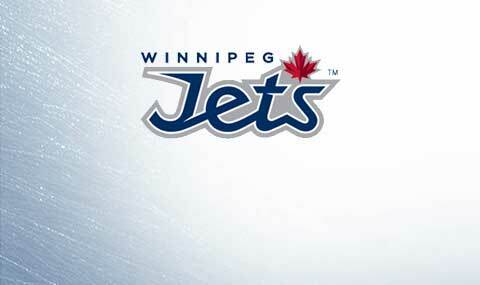 Christopher Clapperton has been added to Jets. Mikhail Stefanovich has been added to Jets. [13.05.2017 22:51:51] - Jets was eliminated at round 2 of year 16. [18.06.2017 14:17:52] - Jets paid 0 Kč to release Christopher Clapperton. [18.06.2017 14:17:15] - Justin Hodgman was released. [18.06.2017 14:17:15] - Jets paid 0 Kč to release Justin Hodgman. [18.06.2017 14:16:29] - Brendan Shinnimin has been added to Jets. [18.06.2017 14:16:23] - Brendan Shinnimin was released. [18.06.2017 14:16:23] - Jets paid 0 Kč to release Brendan Shinnimin. [18.06.2017 14:15:55] - Jonas Hiller was released. [18.06.2017 14:15:55] - Jets paid 0 Kč to release Jonas Hiller. [18.06.2017 14:14:43] - Johan Franzen was released. [18.06.2017 14:14:43] - Jets paid 0 Kč to release Johan Franzen. [18.06.2017 14:25:47] - TRADE : From Blue Jackets to Jets : Gustav Nyquist (68)- Chris Kelly (64). [18.06.2017 14:17:52] - Christopher Clapperton was released. [18.06.2017 14:17:59] - Christopher Clapperton has been added to Jets. [18.06.2017 14:25:46] - Chris Kelly was added to Jets. [18.06.2017 14:25:46] - Gustav Nyquist was added to Jets. [18.06.2017 14:20:12] - Rasmus Rissanen has been added to Jets. [18.06.2017 14:20:08] - Rasmus Rissanen was released. [18.06.2017 14:20:08] - Jets paid 0 Kč to release Rasmus Rissanen. [18.06.2017 14:19:27] - Kyle Beach has been added to Jets. [18.06.2017 14:19:23] - Kyle Beach was released. [18.06.2017 14:19:23] - Jets paid 0 Kč to release Kyle Beach. [18.06.2017 14:18:44] - Mikhail Stefanovich was released. [18.06.2017 14:18:44] - Jets paid 0 Kč to release Mikhail Stefanovich. [18.06.2017 14:18:37] - Mikhail Stefanovich has been added to Jets. [11.04.2017 23:57:17] - Manitoba Moose didn\'t make playoff for year 16. [02.04.2017 22:37:39] - Nelson Nogier was added to Jets. [14.03.2017 23:48:17] - Evan Fitzpatrick was added to Jets. [25. 10. 2016 0:14:12] - Yegor Rykov has been added to Jets. [25. 10. 2016 0:14:12] - Sean Day has been added to Jets.